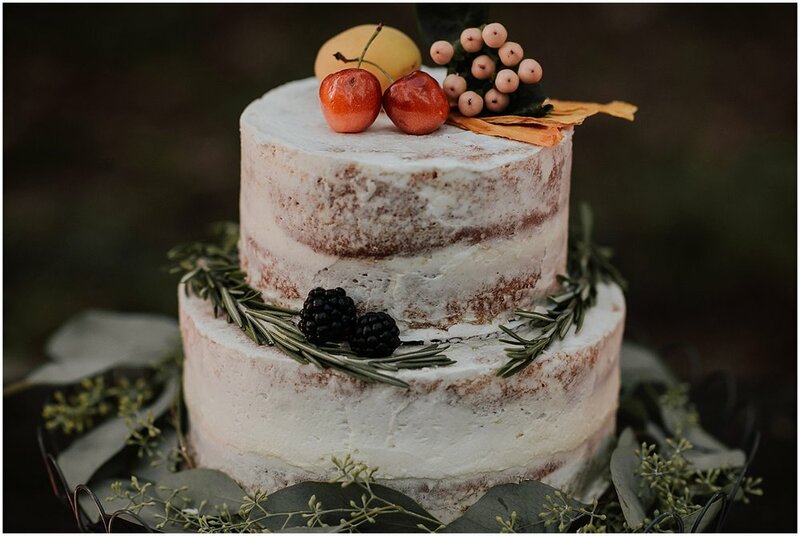 We love the moody tones (and that cake!) 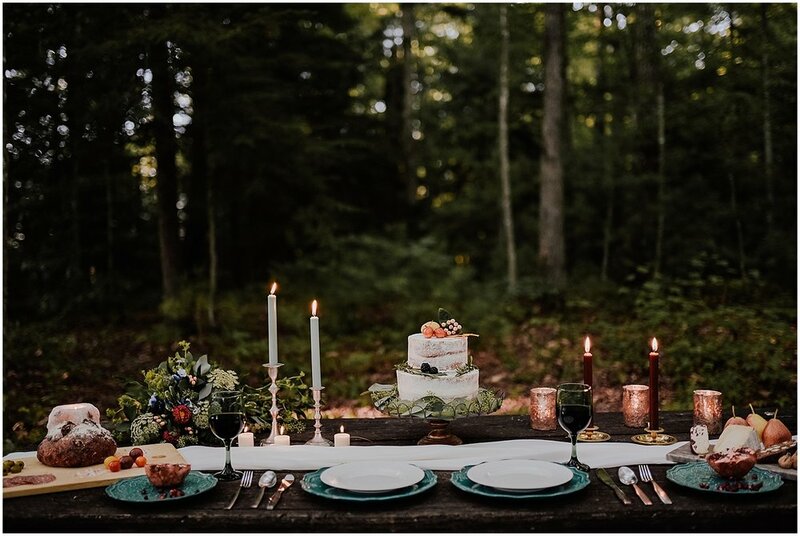 from this gorgeous styled elopement. 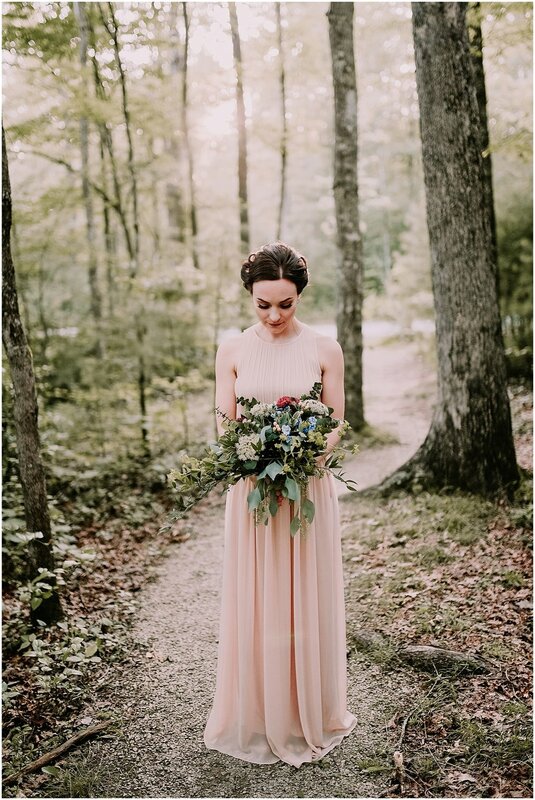 Inspiration from the photographer: In the very beginning and planning phases of the shoot, I imagined right away that Red River Gorge would be the backdrop. I love the natural beauty and serenity of the place. What better kind of a place to intimately share in uniting with the one you love? With this scenery in mind, I began planning what types of elements to include. 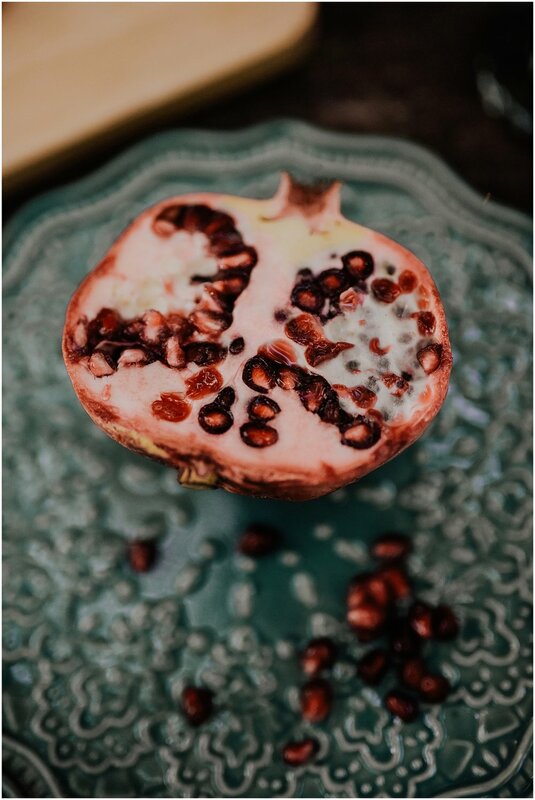 The colors, textures, and envisioning scenes in my mind. I think one of the most intimate and meaningful things you can do with a person is to share a meal. Connection and real emotion are such key elements in good wedding photography. At least that's what I want in my images. 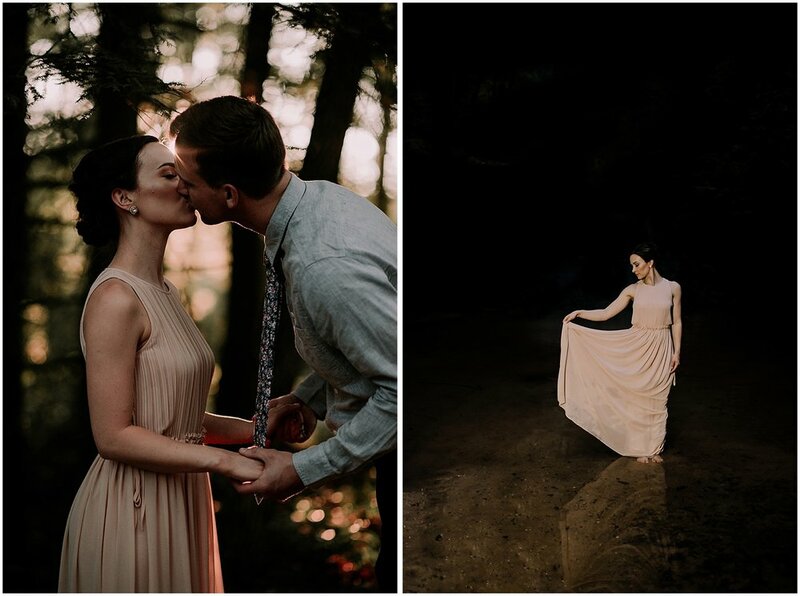 I knew going into this shoot that even though it would be a styled elopement, the goal would be to bring out the real connection and uniqueness in my couple. It wasn't hard with Kate and Aaron, whom I felt an instant connection with. Several of the items used to decorate the table were found at a local Peddler's mall. A few were borrowed, and a few others were bought at various retail stores. All of the beautiful, fresh food was purchased at a Whole Food's market. The cake is without a doubt my favorite detail. 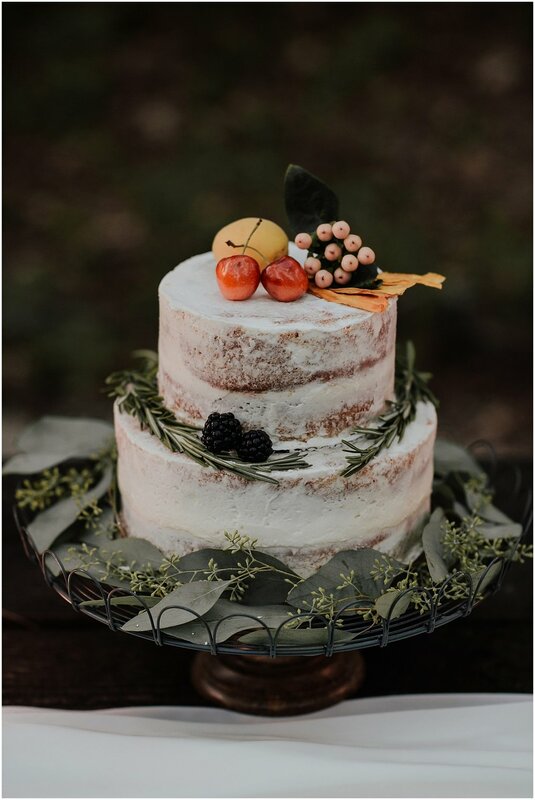 Made with love by one of my dear sweet friends who has a long history of making cakes, and decorated by myself with fruit, berries, herbs, and greenery. Can I say again how fun it was to play cake/table decorator?! 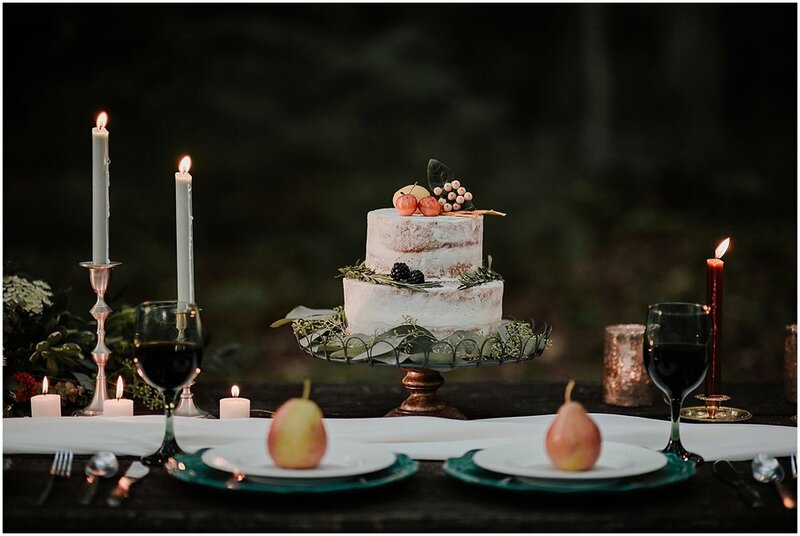 It was so rewarding to put the final touches on the cake and arrange the table just as I had seen it in my mind when pulling together all of the different pieces of the puzzle. I loved having a color scheme to pull from, but also allowing different tones and textures to come in and bring in more dimension and depth. 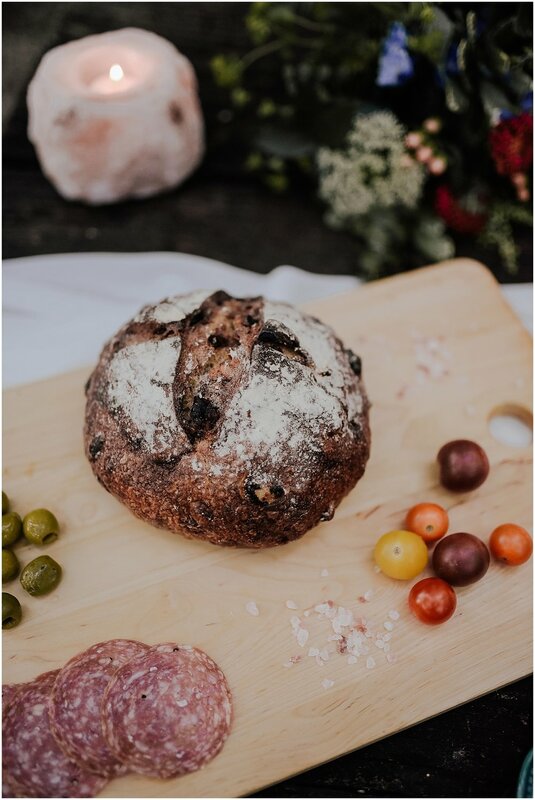 The walnuts on the cheese plate, the olives, sea salt, and the beautiful grape tomatoes all added in just a perfect touch of yumminess and added detail that made the table even more beautiful. 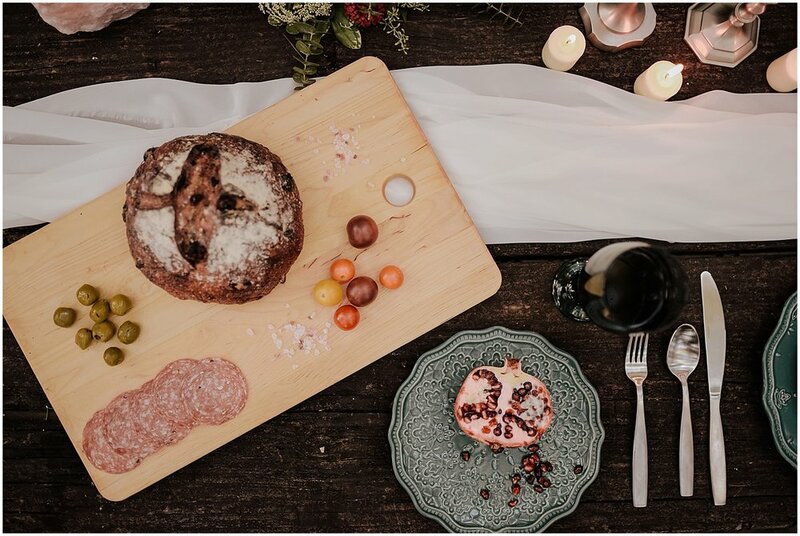 To the bride and groom planning their own intimate wedding or elopement: putting together a day that will be both unique and beautiful does not have to be overly expensive or stressful. Ultimately, the day is to enjoy, celebrate, and unite in love. What surrounds you should be a reflection of who you are as a couple and make you feel at ease and happy! 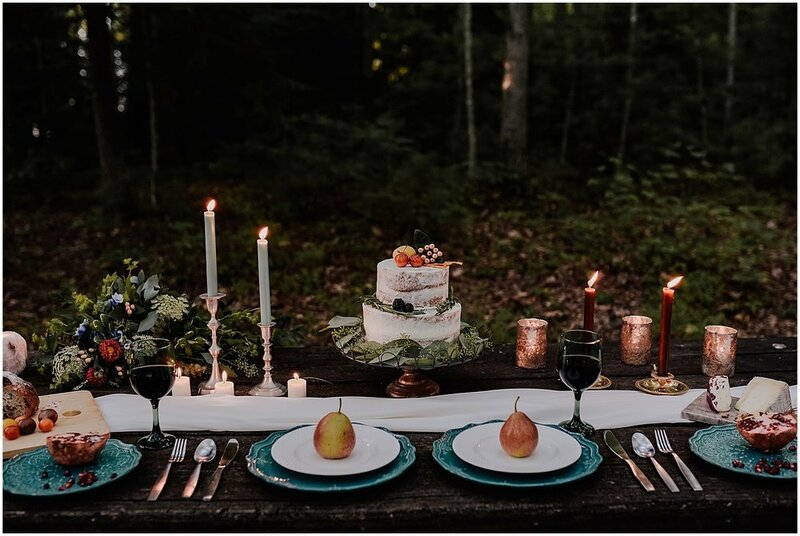 Re-creating a wedding like this one begins with focusing on a simple vision then pulling together elements that will bring your vision to life. 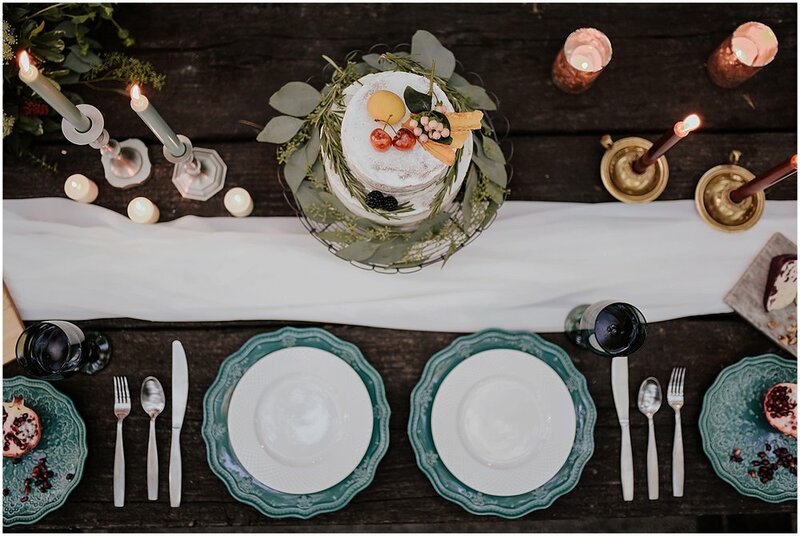 Create a complementing color scheme that will fare well with the scenery, then gather a few of the must have items such as a dress and the groom's attire. Then little by little layer details that you like with texture and interest. When you put it all together you will be able to stand back and proudly enjoy what's been created in an intimate way with the ones you love most.